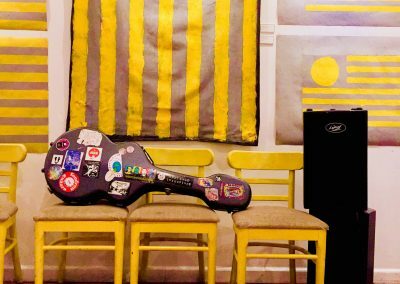 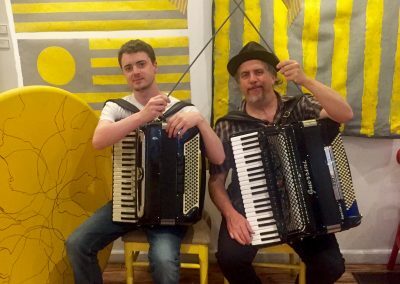 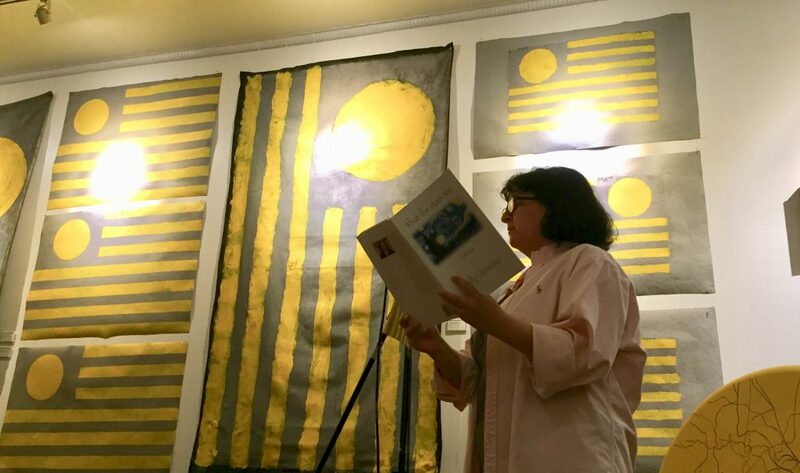 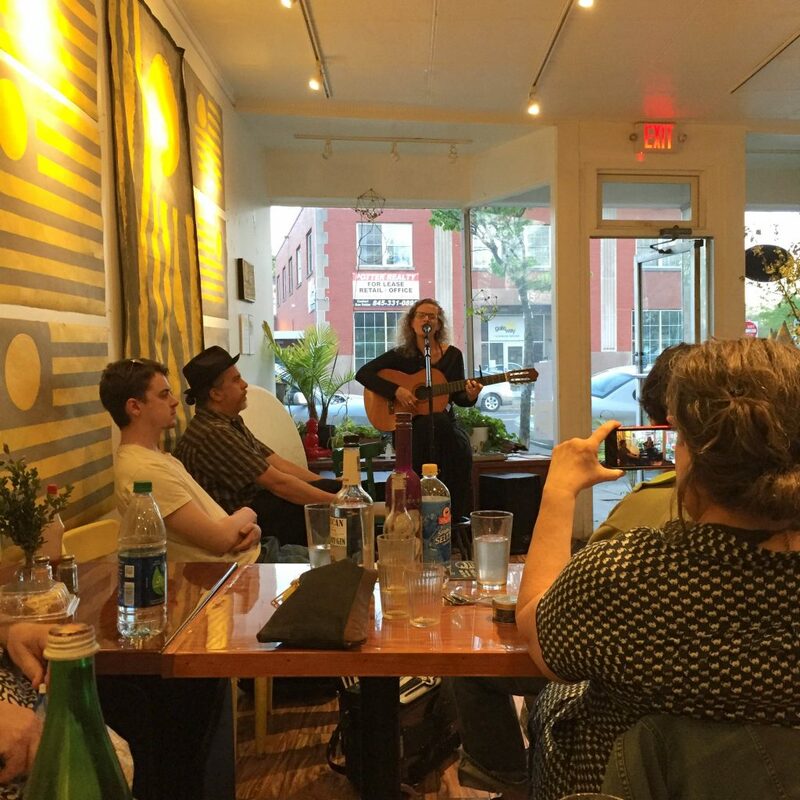 The flag of Optimism is flown and celebrated at namesake open mic events that explore themes of Optimism, resilience and mental health. 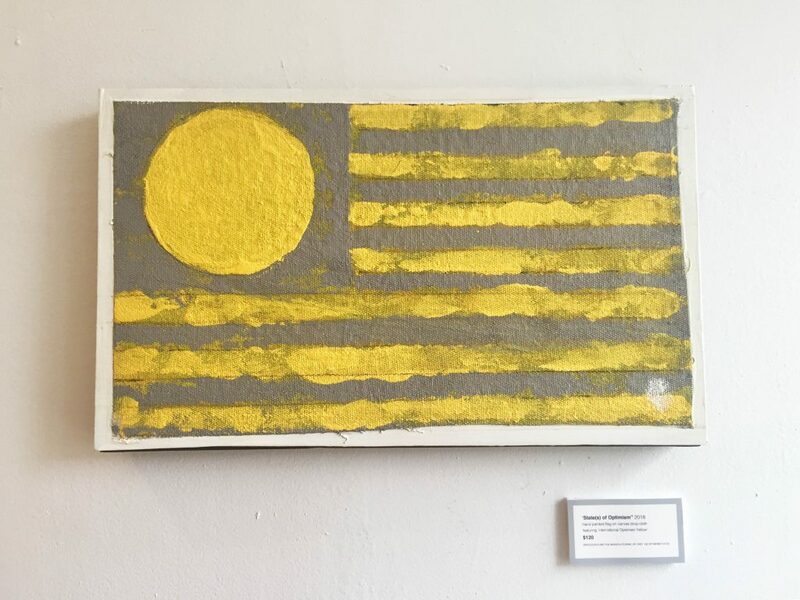 The intention of States of Optimism is to create an iconic flag to represent the “Optimism Movement.” Resulting artwork includes limited edition prints, tee shirts, and special edition of painting on upcycled mediums including construction materials, tarps, and painted over soiled or damaged American flags. 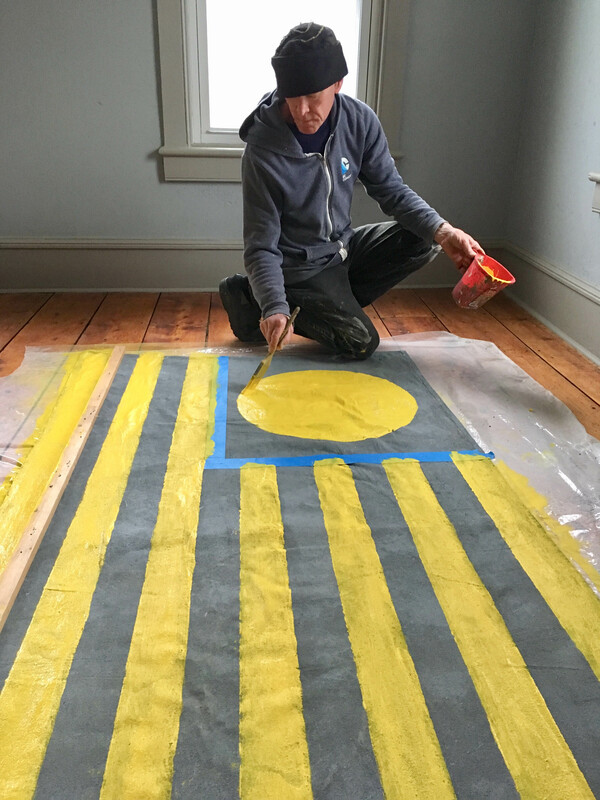 The creator of the flag is artist Dan Green, a masterful illustrator, painter and musician who created works for Marvel’s “Dr. 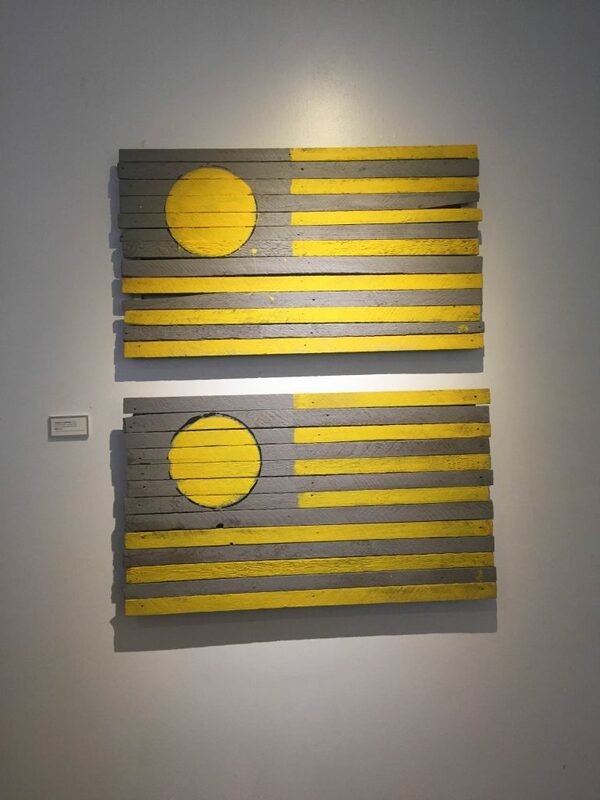 Strange” series. 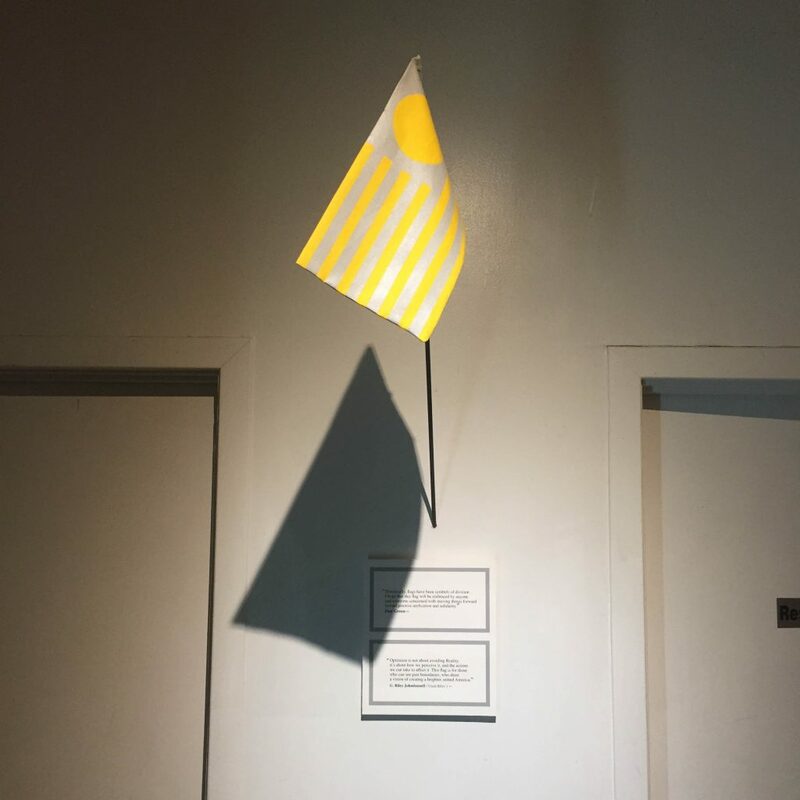 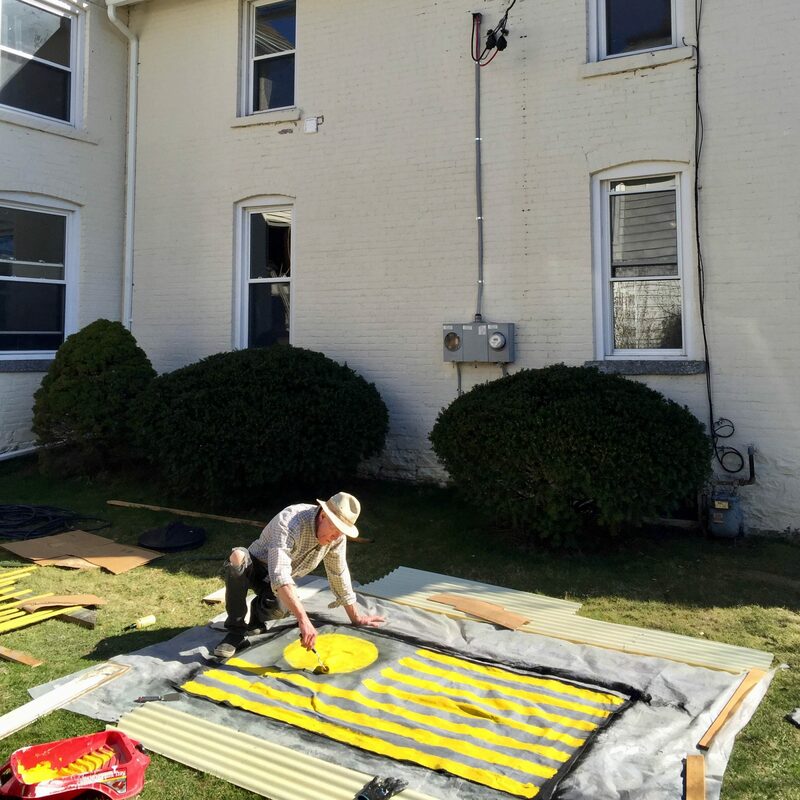 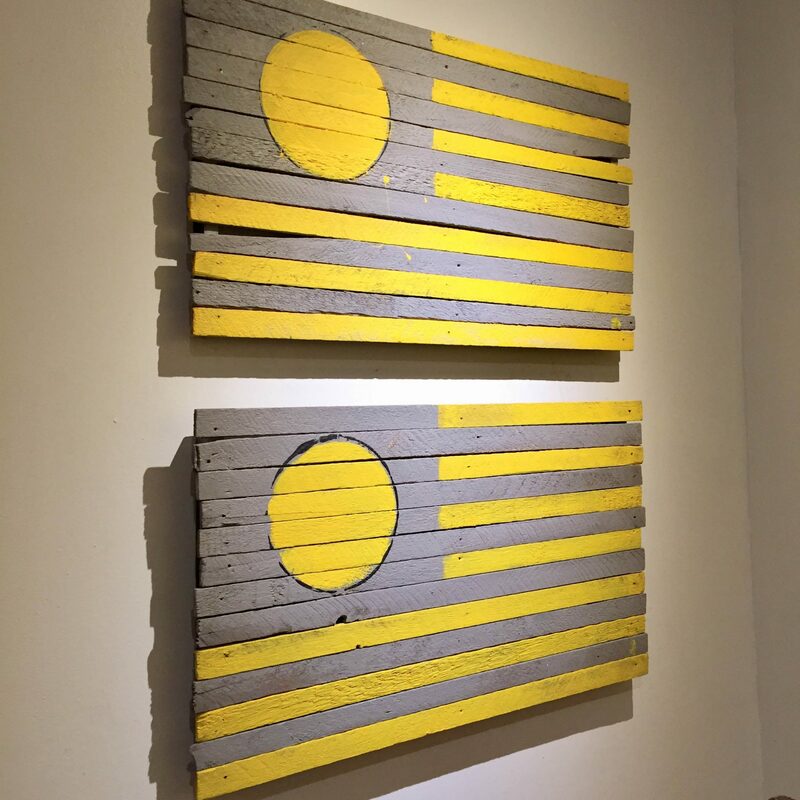 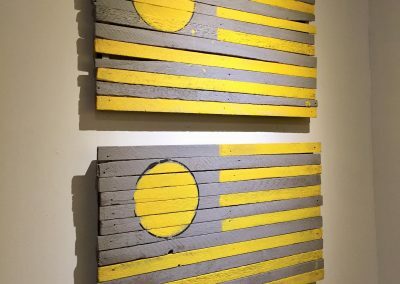 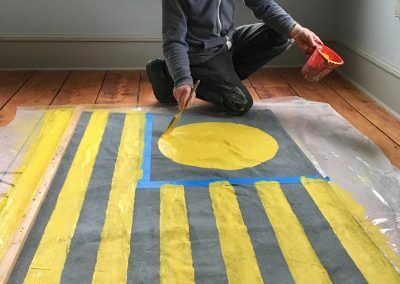 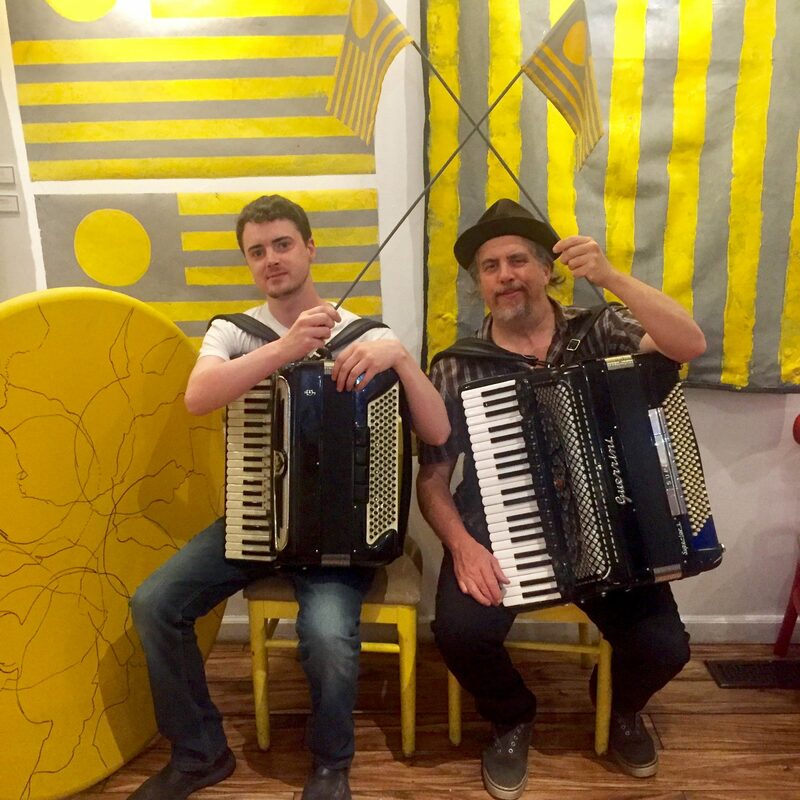 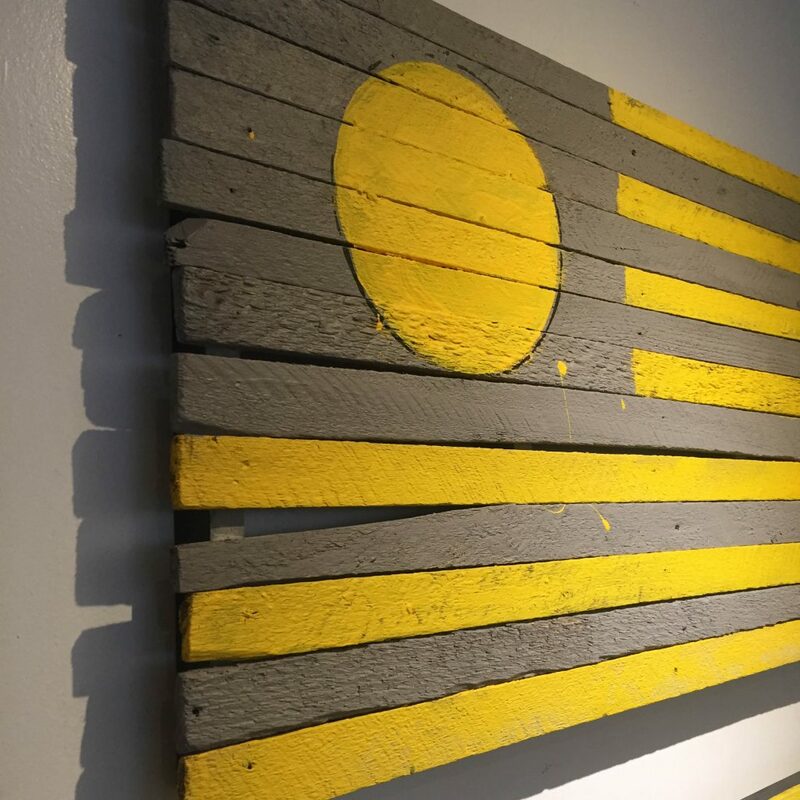 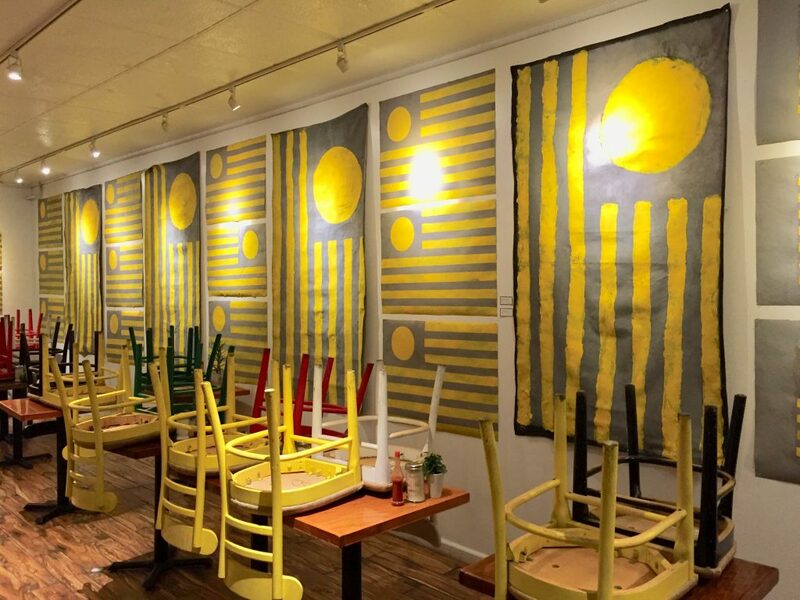 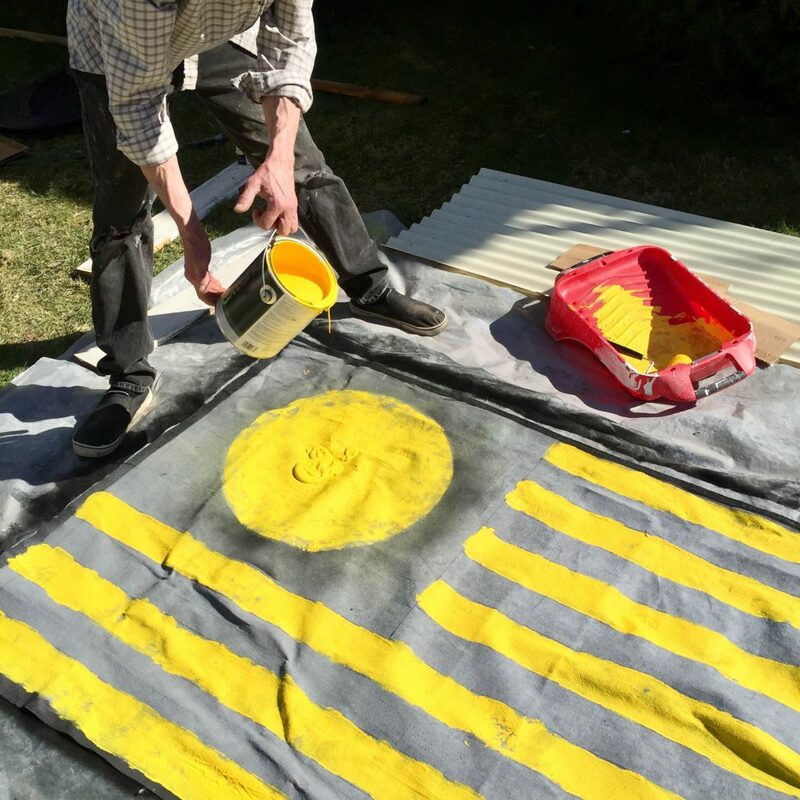 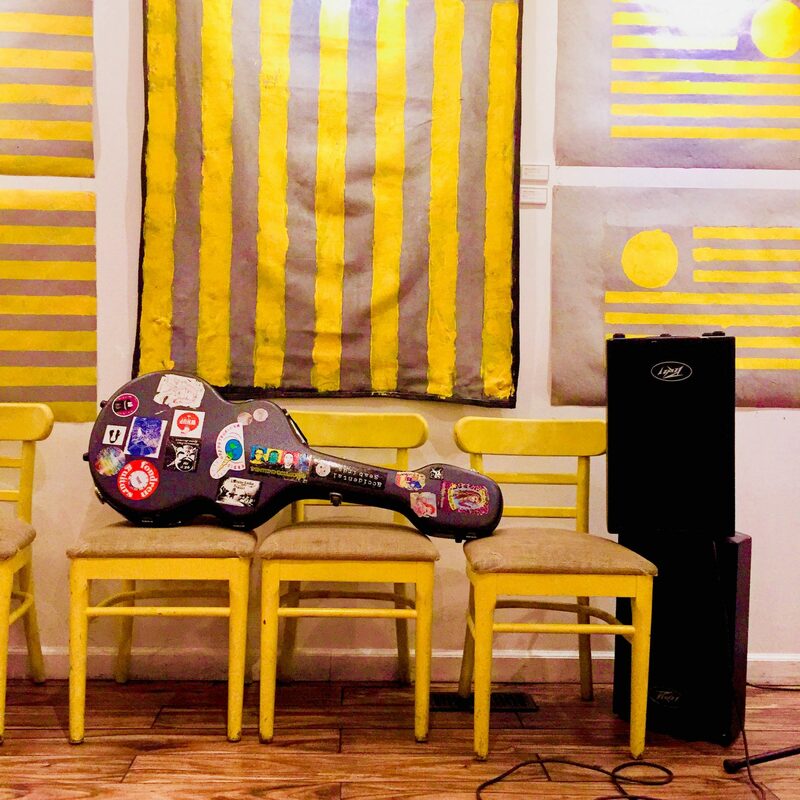 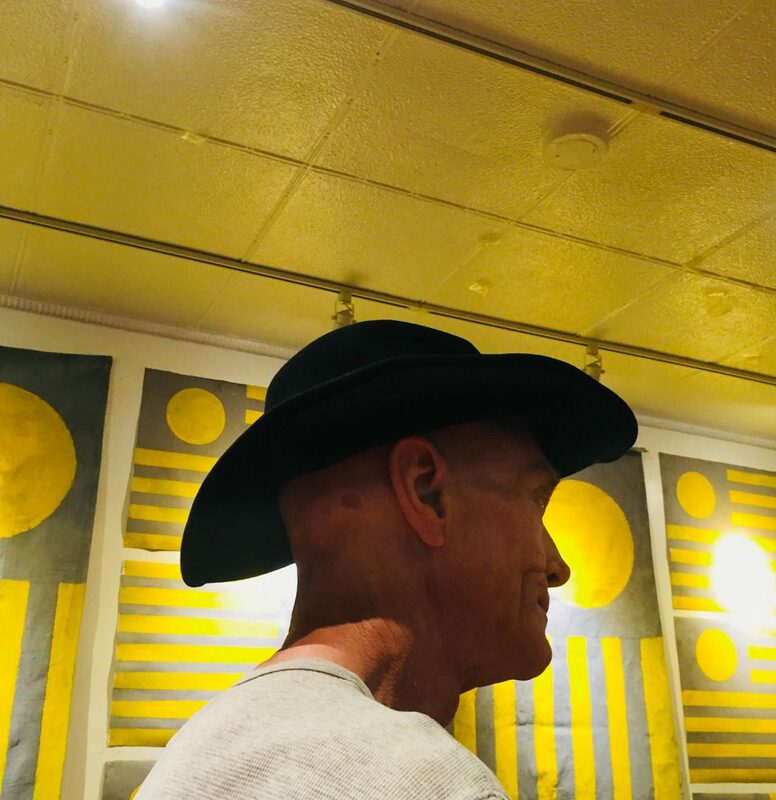 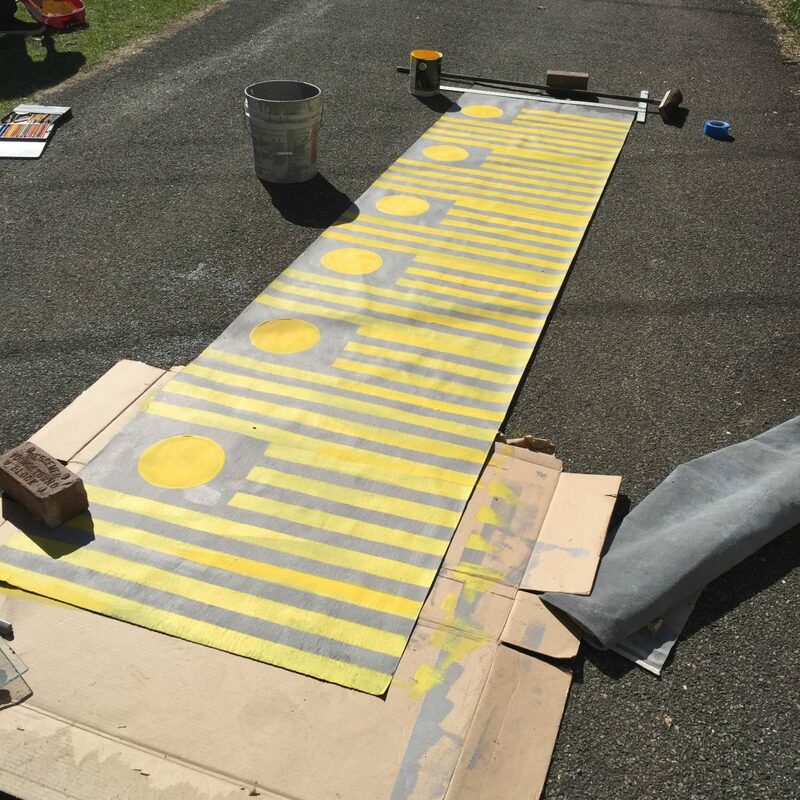 Green painted the first version of the Optimism flag during a residency program at Uncle Riley’s 2016 pop-up (P)optimism Shoppe where local artists were invited to create artwork to inspire more Optimism using INTOyellow. 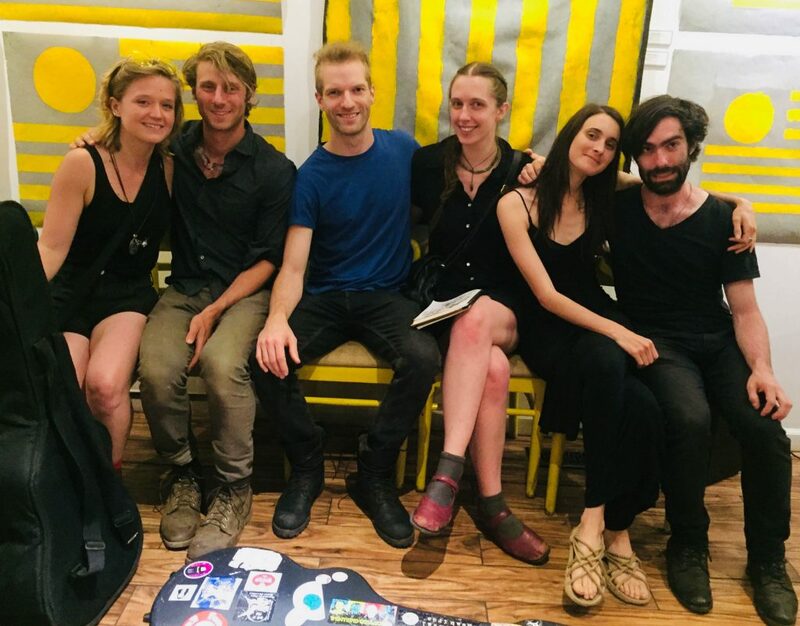 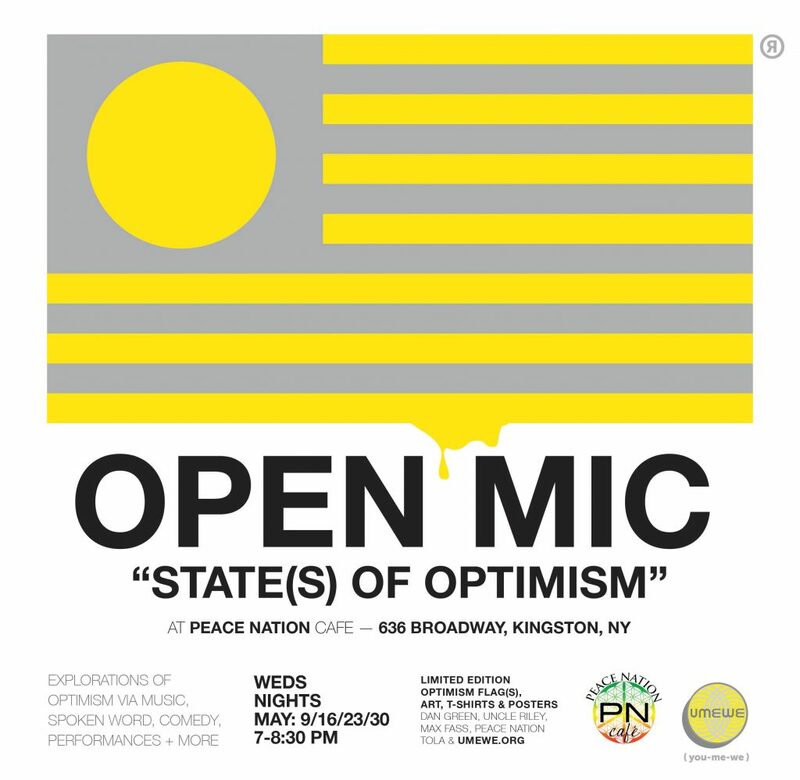 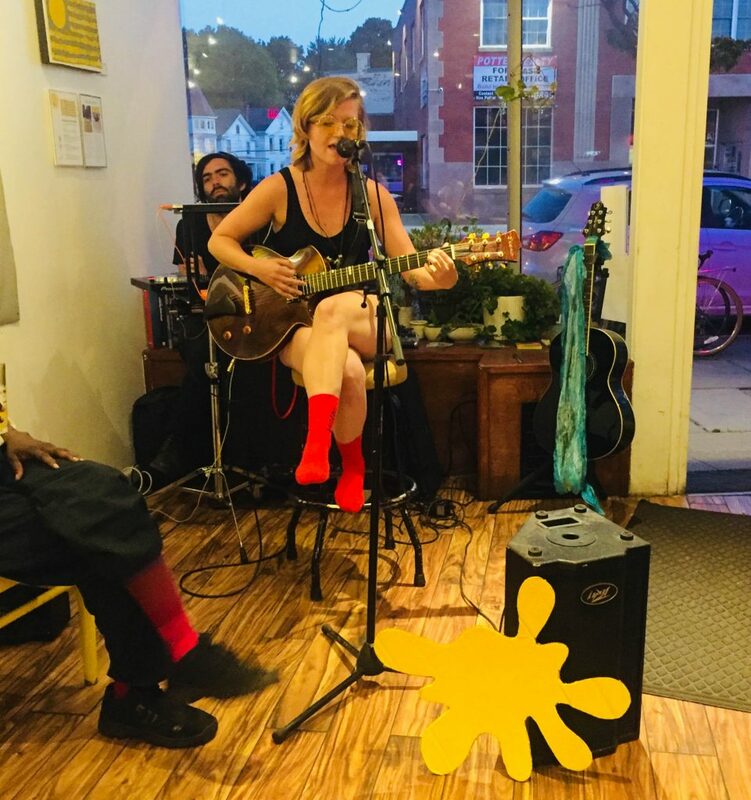 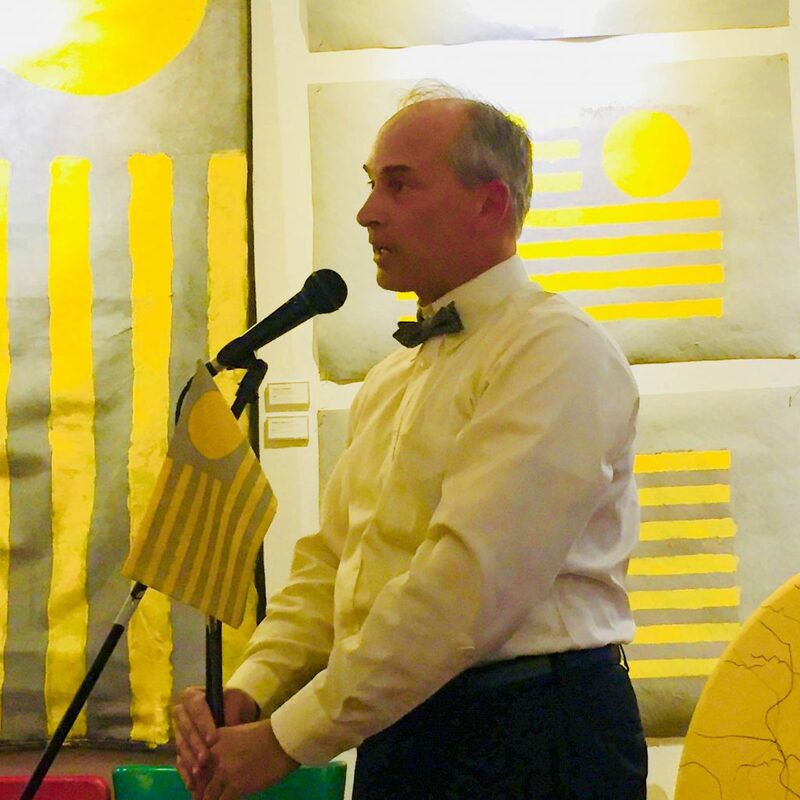 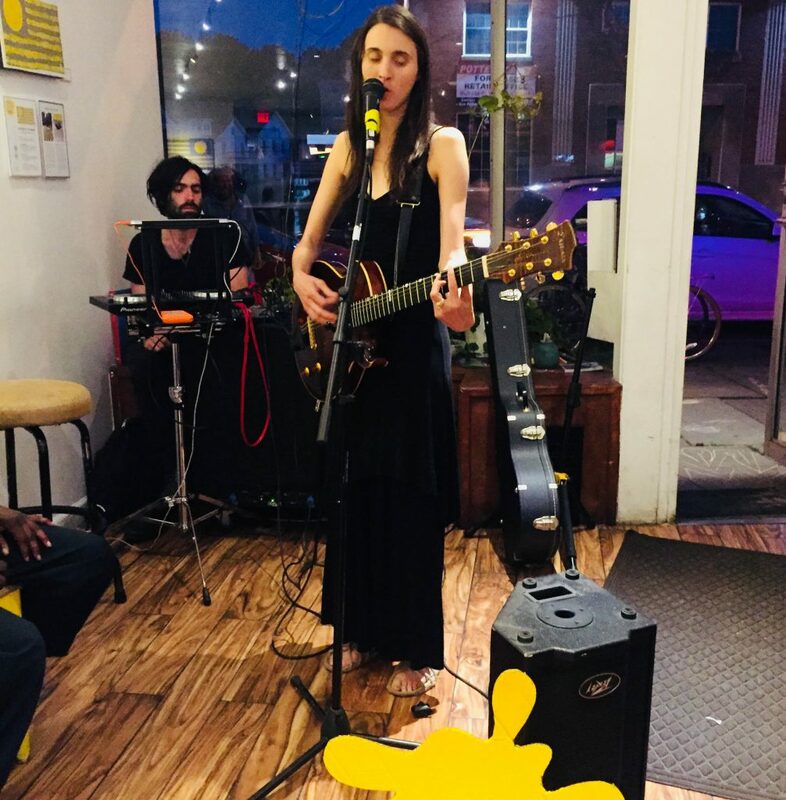 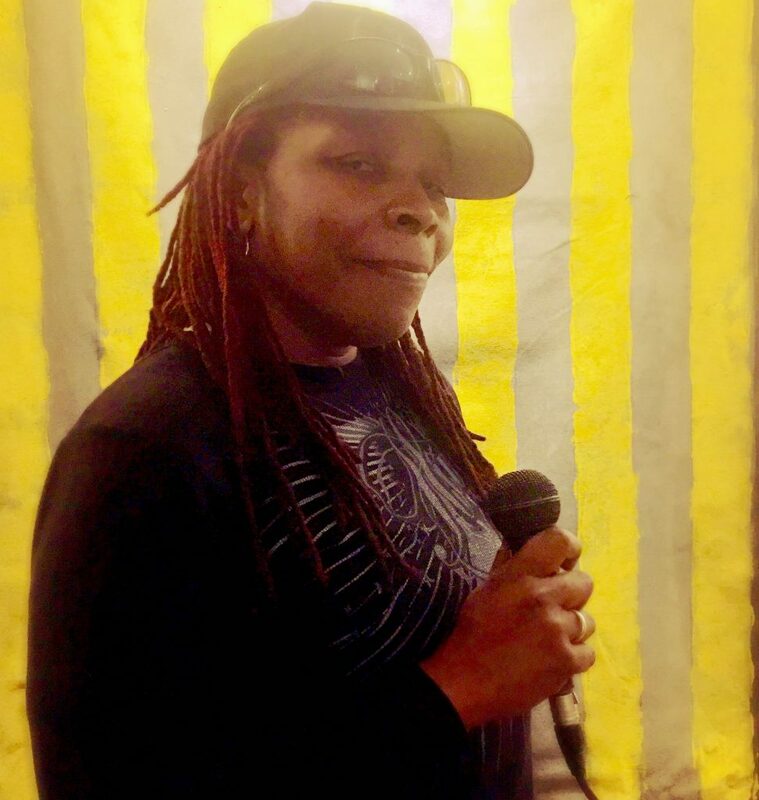 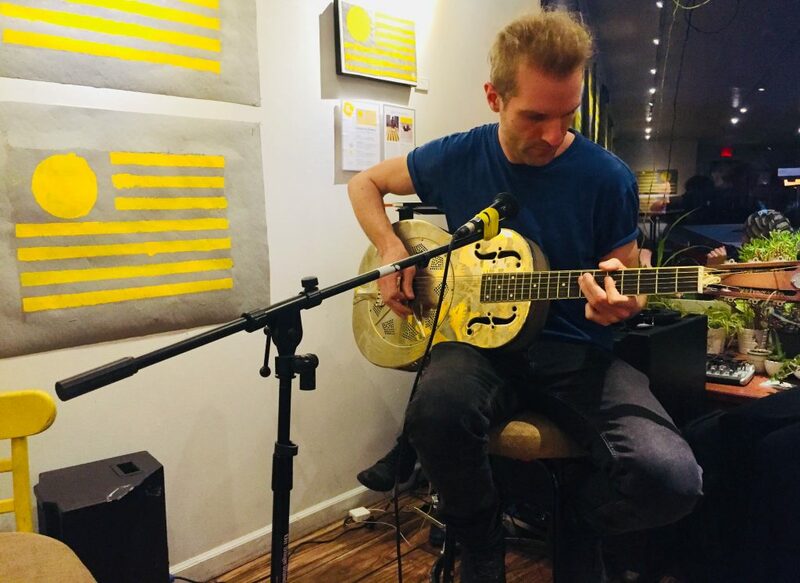 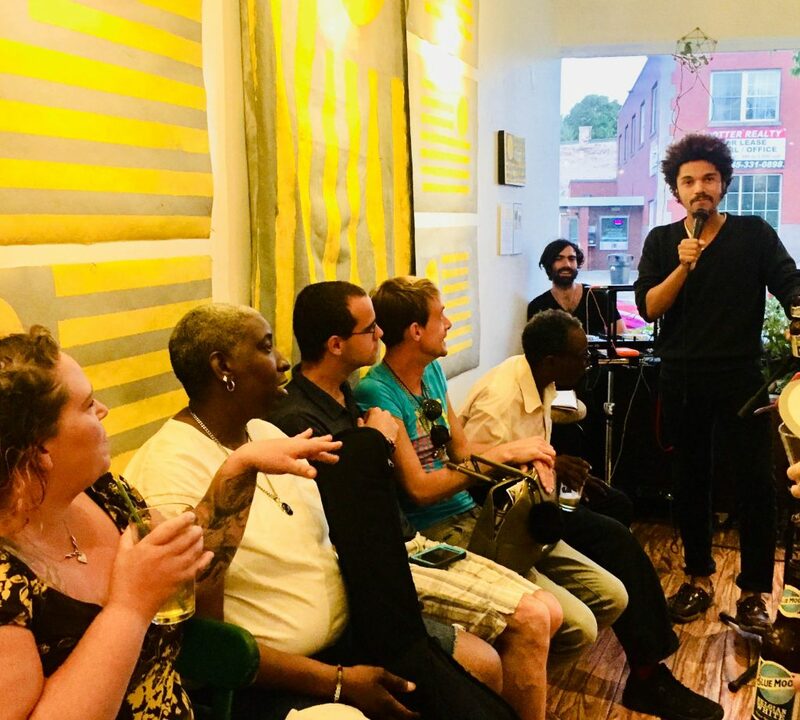 States of Optimism is also a series of open mic events held during Mental Health Awareness Month (May) in which the public can explore various emotional states of Optimism and Resiliency through performance, music, spoken word, poetry, comedy and more.